I follow a number of blogs all over the web just like I’m sure you do. One of those blogs is “Decent Exposures” by Marty4650 (I don’t know his real last name, and it doesn’t matter anyway). Marty’s latest entry was “A Hobby for the Very Wealthy.” He was writing about our shared hobby, contemporary digital photography. 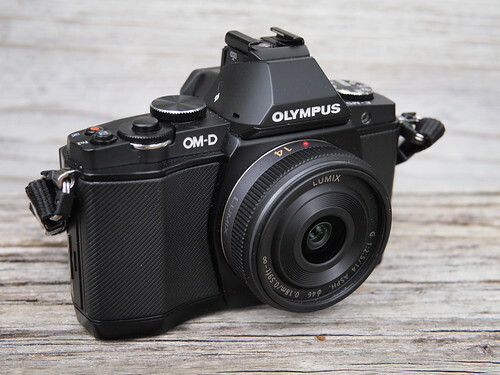 That little camera at the top, an Olympus E-M5, was $1,000 just for the body when it was released. That’s how much I paid, and to be honest, I shouldn’t have spent that much for that camera or any other. Not because it’s bad, but because I spent, for essentially a personal vanity item, the cash equivalent of what 400 people live on per day. Marty notes that over half the world lives on $2.50/day or less, and will never be able to afford such a luxury. It’s a sobering thought. I was reminded of the bazaarness of this again today when I received an email from Olympus advertising a sale of the E-P5 at $200 of the original introductory price of $1,000. There were other steep cuts on other Olympus camera items as well, an attempt by their marketing department to entice me to buy a copy along with a lens and other peripherals. I read the ad and felt rather embarrassed to be even looking at it. Even if I didn’t own an E-M5, I don’t think I’d have sprung for a copy. Too many of us spend too much money and time in this expensive hobby. Ours isn’t the only hobby like this; there’s golf and boating and hunting and fishing and many other “hobbies” that require very high levels of consumption on our part to enjoy them. Photography is my particular embarrassment, my conspicuous consumption. I’m not giving up photography, just the empty and soulless practice of purchasing expensive camera gear. Not just from Olympus, but all the brands. I don’t think I can quite handle the shame of it anymore.